Great for promoting your business. 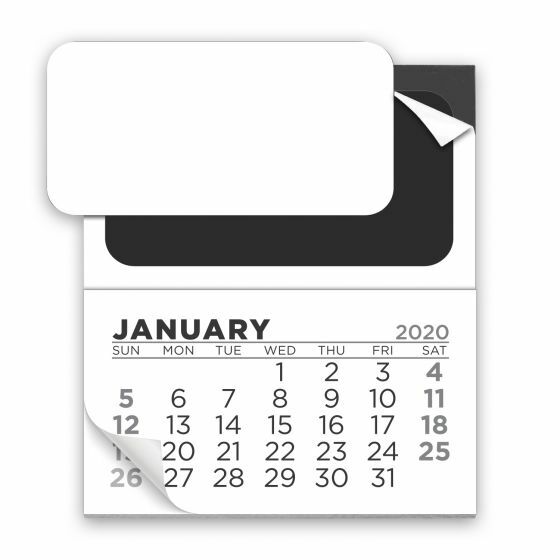 12 month calendar pad with strong magnetic back and punch out middle section with adhesive back. Punch out section can be used to create your own personal business card magnet. Punch out size 3" x 1 9/16". Magnet size 3 3/8" x 2 1/2". (Calendar pad attached to magnetic PSA material). Bulk / 18 lbs / 605 pcs. / 12.5x12.5x18.5box. Sold Blank, Just adhere your business card to the adhesive.